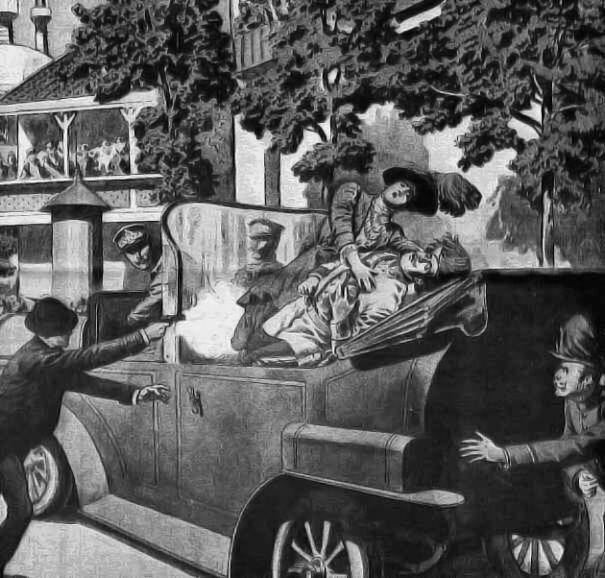 1914 On the 28th of June the Archduke Franz Ferdinand, heir to the Hapsburg throne, was murdered in Sarajevo by the Serbian student Gavrilo Princip and the FirstWorld War was on its way. In Spain opinion was deeply divided. The military, the clergy and the rich were generally pro-German. The general public, on the other hand, tended to be pro-Allied. The result was that during the conflict Spain remained neutral. This war soon dispelled a widespread myth about Gibraltar's effectiveness as guardian of the Straits. No doubt the complacency brought about by a hundred years in which the Rock was not involved in any type of armed conflict helped to perpetuate the idea that the guns of the Rock could somehow control the Straits. Despite the fossilised state of British military strategy after Waterloo, Britain was now at the peak of her Imperial power. It seemed inconceivable that Gibraltar, a veritable symbol of that power, could possibly have any flaws. However, when the war at last became a reality on the Rock, the guns of Gibraltar opened fire on a passing vessel which had ignored signals to put into port. The blast from the guns broke most of the windows in town and brought down loose rock on to the houses. They failed to stop the ship and were rarely used again during the war. Another aspect of Gibraltar's military value was its reputation for impregnability. 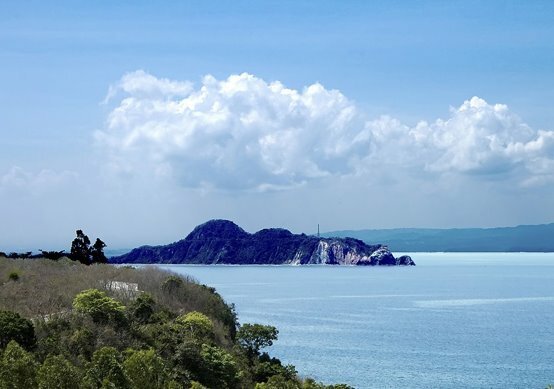 Corregidor, they said, was the 'Gibraltar of the East'. Things that were very safe and solid were described as 'safe as the Rock of Gibraltar' or as 'solid as the Rock of Gibraltar'. In fact a well known American insurance company thought it a good idea to adopt its profile as a trademark. A place that had withstood so many sieges over the centuries seemed an ideal symbol. Nevertheless, the issue was never put to the test under the more modern warfare conditions of World War I. 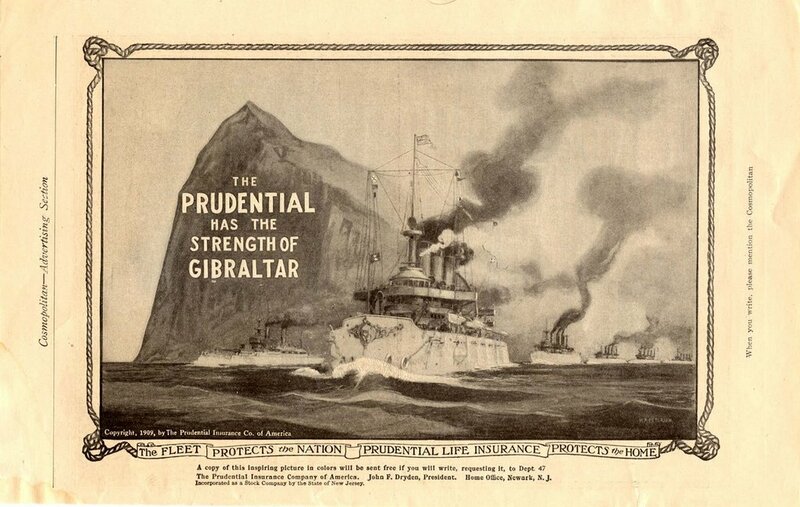 Top: Advert for the insurance company, Prudential. 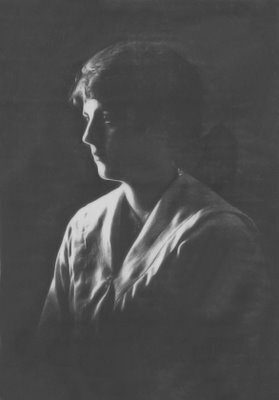 The Chipulina family, however, probably tried to put the war as far away from their thoughts as possible and continued with their normal pursuits. Like Maria Luisa (2.4), they may also have been fond of the odd visit to the beach. Unlike Maria Luisa, at least one of the family had not quite mastered the art of swimming. An article in the Gibraltar Chronicle reported the rescue from the sea at Eastern Beach of a young man called Phillip Chipulina. It is more than likely that this was Felipe. In October, Diego José's (3.7) son Antonio died. His death certificate records him as a single, and a native of Gibraltar. He appears to have been a rather obscure personality and very little is known about his activities or what he looked like. For some reason he seems to have been jealous of his sisters and their respective families. Perhaps he disapproved of his father's generosity towards them. 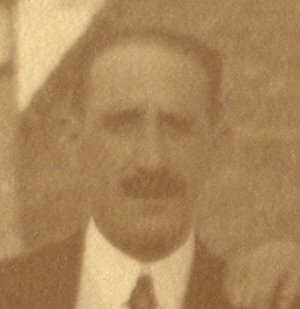 In later life, Lina would recall the way in which he would sometimes glare at her across the dinner table making her feel uncomfortable and giving the impression that he resented her presence in his father's house. 1915 The war continued to exert its influence on local events and the Gibraltar Volunteer Corps was formed. The Commanding officer was a gentleman called Gonzalez who became a friend of the Chipulina family. He was always referred to as 'El Skipper'. 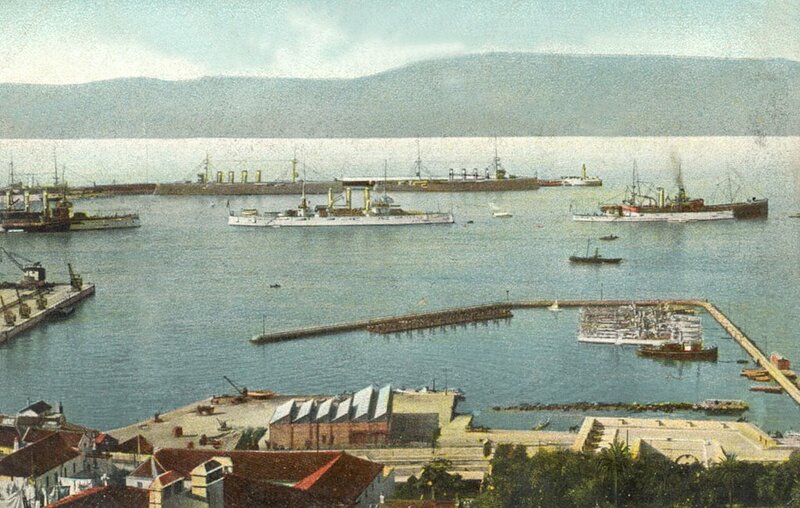 For most of the year Gibraltar was swamped with wounded from the Dardanelles. Emergency hospitals were set up and there was hardly enough military transport to cope. The newly formed Gibraltar Volunteer Corps came into their own and doubled as stretcher bearers carrying the wounded from the ships to the hospital. It is not clear whether a certain Sergeant Phillip Chipulina serving with the corps at the time was Felipe or some other unknown relative. Some Gibraltarians even took part in the fighting, among them Capt. Patron, a professional soldier, who took part in the Dardanelles Campaign and was seriously wounded. 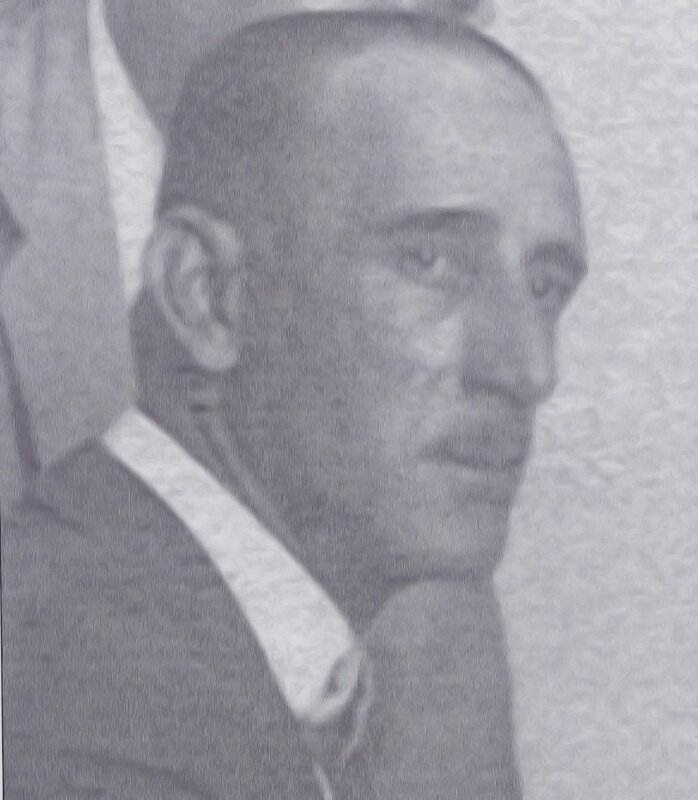 But Gibraltar's World War I hero was Lt. Sam Benzecry killed in France and posthumously decorated. Curiously during some of the earlier battles of the war, British troops were often surprised to find among the German casualties and prisoners, soldiers bearing shoulder flashes with the name 'Gibraltar'. They were men from Hanoverian Regiments celebrating their historical connections with the Rock dating back from the early 18th century. Apropos of the Dardanelles fiasco, Major General Sir Charles Caldwell, who had organised the expedition, revealed that Lord Kitchener had agreed with him that Gibraltar should be exchanged for Ceuta. Obviously Gallipoli had done nothing for either of them. On the other hand, at least a small part of the blame for the unsatisfactory outcome of the Dardanelles Campaign can be attributed to Gibraltar's inability to stop enemy vessels entering the Mediterranean. In May, a German submarine, the U-21, made it through the Straits despite being sighted by a British torpedo boat that made an attempt to ram it. The U-21 eventually went to the aid of the Turks and sank no less than two 'Dreadnought' battleships of the British Navy. On the 7th of May at 2.10 pm the liner Lusitania was sunk off the coast of Ireland by a German U-boat. 1916 The Spanish authorities closed the frontier to 'officers on horseback.' This must have been an intolerable imposition on the fox-hunting fraternity. In August, German propaganda in South America instigated a 'League for the Restitution of Gibraltar,' with headquarters in New York. The 4th of August was celebrated as Gibraltar Day in both Chile and Argentina. The estimated civilian population of 18 000 were probably unmoved by these events. 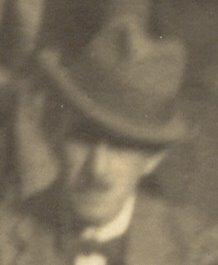 By now my graandfather Angel (2.1) had made it to Chief Clerk in the Post Office and Savings Bank, standing in for the Postmaster in his absence. In those days it was a position of some standing. His salary at the time was £270 per annum. As his brothers, José-Angel and Thelmo already occupied the other two top jobs then open to locals, Mails Superintendent and Senior Clerk respectively, the Chipulinas made up a sort of Post Office Mafia. Despite having a lot to thank Ms Creswell for, it seems that Angel (2.1) had always prudishly disapproved of his father's relationship with her. On the whole it appears to have been hardly worth while striving too hard for promotion, as this seems to have come when it was due rather than through merit. At the time the town was serviced by no less than fifteen postmen, one of which was probably José-Angel's lover. A difficult photograph to date. It is the only extant group photo of my great grandfather Joseph Chipolina’s (3.1) sons and daughters. 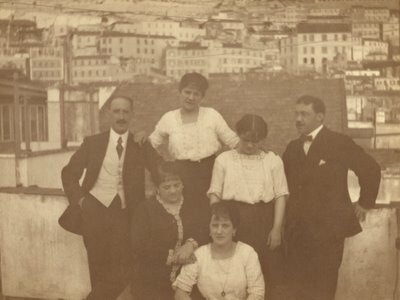 Standing from left to right is my grandfather Angel (2.1) followed by Lucy, Leocadia and her husband. I don’t know his first name but his second one was Day. In front are Dolores (Lola) and Etelvina (Etel). 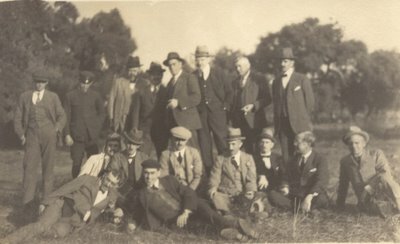 There are two copies of this photo. At the back of one of them, my mother tried to identify everybody but she missed out Etel for some reason. Despite the unmistakably Gibraltarian houses in the background I can’t make out exactly where the photograph was taken. They lived in Governor’s Lane and both my sister and my brother, who they called Hertito, visited them from time to time hoping for the odd two shillings from Lola. Lucy was totally deaf and Etel rather grumpy. They also kept a rather unpleasant dog called Pinchi. My grandfather Angel Chipulina (2.1)This photograph was taken while he was at work. I am almost certain that Angel had just been made Chief Clerk of tthe Gibraltar Post Office and Savings Bank. He was standing in for the Postmaster in his absence. 1917 Elsewhere the military governor of Cadiz, General Primo de Rivera, was elected a member of the Royal Hispano-American Society. The subject of his formal address was 'The Recovery of Gibraltar.' In it he suggested that Spain should give Britain all its African possessions in return for the Rock. Unfortunately, although pro-Germans were probably in a majority at that time in Spain, the official Spanish position was now pro-Allied. Within 48 hours of the speech Primo was unemployed. Military events continued to gather momentum and in April the Rock became an American as well as a British naval base. The American squadron was made up of men who seemed to spend most of their time fighting each other rather than the enemy. When the Yanks first arrived and were still a novelty, it was not uncommon for a spontaneous ring of local spectators to form round any two particularly impressive combatants. The fight usually lasted until the shore patrol arrived to sort them out with their truncheons. Prewar photo showing American and Russian warships in Gibraltar Harbour. Gibraltar was also used as an assembly point for convoys crossing the Atlantic. But the much vaunted control over the Straits proved as elusive as ever. In November, despite the presence of British, American, Italian, Portuguese, and Brazilian warships, 13 German U-Boats sailed into the Mediterranean through the Straits. These U-Boats may have directly or indirectly had something to do with the sudden gluts of fish which occurred periodically in the market. Allied fishing trawlers damaged by mines and enemy action were often obliged to put into Gibraltar for repairs. There they were forced to unload their perishable cargo. 1917 It was sometime during this period that the coal heavers, who were mainly Spanish, went on strike. They were led by the Anarchist Syndicate. Several young men from Gibraltar volunteered to do their work because they considered it to be essential to the war effort. Felipe Chipulina was one of them. He had probably already started to drink heavily and was on his way to becoming a fully fledged alcoholic. My mother Lina (1.2) was still a teen-ager and Pepe (1.1) was now working as a Telegraph operator with the Cable and Wireless and was making plenty of money working overtime. His first pay packet was in golden sovereigns. These were exchanged by the Telegraph Co. itself into pesetas at a more favourable rate than the bank. The official rate was 17 pesetas to the pound. An anecdote belonging to this period in Pepe's life refers to an office messenger who was carrying a tray full of teacups and tripped as he crossed an inner patio with catastrophic consequences. English heads popped out of the windows above. Replied the bi-lingual messenger from his bed of nails. 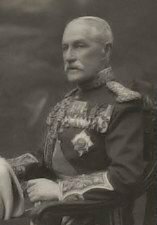 1918 General Sir Horace L. Smith-Dorrien became Governor and state aided education began in Gibraltar fifty years after it had been introduced in the U.K. In Britain women were given the vote and in November Germany signed the armistice that brought the First World War to an end. Britain alone lost over a million men. During the four years of the war, 80 merchantmen were repaired at Gibraltar Dockyard and no less than 350 allied warships were victualled and refitted there. Meanwhile the Police commissioner, a gentleman by the name of Cochrane, wrote a report in which he complained about the inadequate wages of his men. He argued that they were having an adverse effect on recruitment. He had a point. The average wage of a police constable was then about £74 per annum. This was less than the salary of a skilled dockyard worker who got substantially more than £110 each year. In November a 'flu epidemic reached Gibraltar and took as big a toll in the Rock as it had done everywhere. A strikingly pretty elder sister of Babs who was called Madge, died in Crutchett's Ramp during this epidemic. 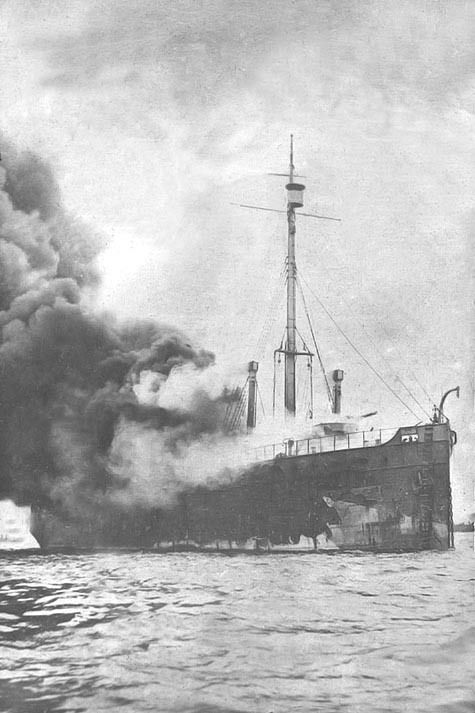 It was still in full swing when a British ship was sunk in the Straits two days before the Armistice was signed. A mass funeral of the victims did much to dampen peace celebrations on the Rock. The USS Ophir. This US Naval ship caught fire in Gibraltar harbour and burned for three days. 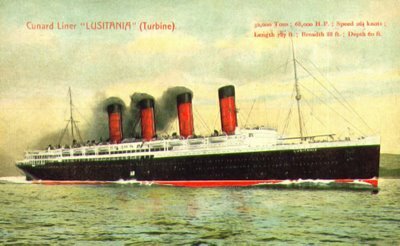 Devastated by flames and explosions she sank on Armistice Day. The original caption to this photograph reads ‘Mustard Gas Escaping’! Gibraltar was at the time suffering from a ‘flu epidemic. One of Lina’s cousins, a strikingly beautiful girl called Madge died in Crutchetts Ramp during the epidemic. Post Office staff outing? A bit of guesswork involved here. 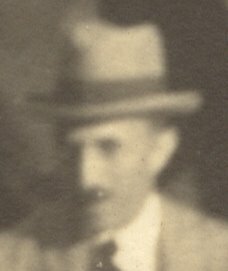 Written on the back of the photograph is the name of my grandfather, Angel Chipulina (2.1) in Evelyn Lett’s (1.2)handwriting.